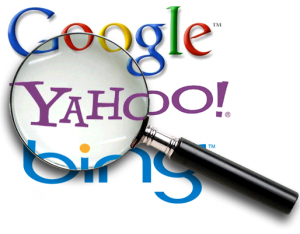 As many people understand, a search engine assists users when they are looking for information online. The user will enter a phrase or word into a query. Then they receive a display of results that are relevant to their search. Finally, the user will receive two types of listings on a search engine. The results that will appear are organic and paid listings. An organic result is a “natural or free” outcome. A paid listing is paid advertisement using programs such as Google AdWords. Google keeps these two types of results separate by using the phrase “Sponsored Links” above a paid result. The majority of search engines will rank the results with the query. What this means, they will determine what order the listings will appear on the results page. This will depend on the relevancy to the user’s query. The most relevant will appear at the top of the results page. Google, Bing, Yahoo! and MSN will calculate the relevancy in a different way on each result search page (organic and paid). However, Google will have both organic and paid results show in the user’s single query search. The ranking of organic searches and paid advertising have no bearing on each other. This allows an advertiser have a better online existence, even if their website does not become visible in the top of an organic search result. When it comes to Google’s organic results, over 200 factors determine the relevancy of a website in a user’s query. One of these factors is a PageRank. A PageRank measures the significance of a page based on the external links from other websites. In other words, each link on website X linking to website Y will help in website Y’s PageRank. When it comes to paid listings, numerous factors determine the rank listings. This will be explained in more detail on future posts.